The most recent example to illustrate the radical change on campuses occurred at California State University, Los Angeles on February 25, 2016. 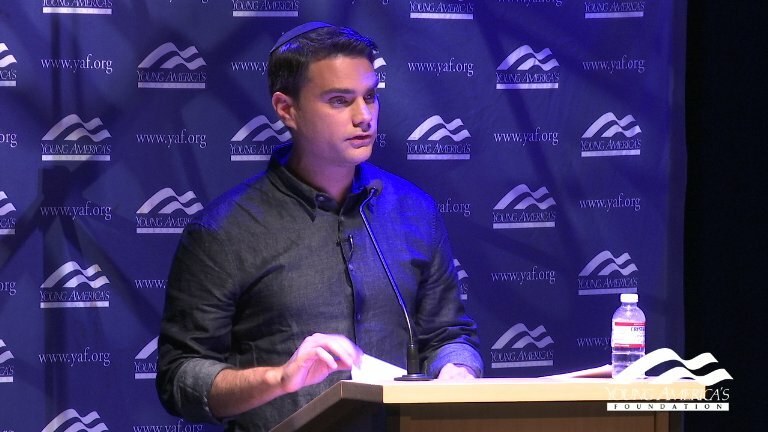 Ben Shapiro, who represents Young Americans for Freedom (YAF), was invited to speak at the school. Liberal students did not have to work hard to persuade CSULA President William Covino to cancel the event, because the President is a known leftist ideologue. Covino cancelled Shapiro’s opportunity to speak by claiming he wanted to provide an expanded venue with opposing speakers on the subject of censored speech and diversity issues. However, Covino did not offer any specifics as to a new date. Also suspicious was that the school had previously invited and allowed many controversial liberals to speak without any opposition voice. Having learned that “Black Lives Matter” protesters were involved in the effort to keep Shapiro from speaking, and knowing there were students who worked hard to advertise and encourage attendance, Shapiro decided not to disappoint the students and decided to speak as scheduled. Bullying of students planning on attending. Physically intimidating those who did attend, including a female reporter trying to film the unruly crowd. Protestors barring attendees from entering the room in which Shapiro was speaking. Turning on the fire alarm to disrupt Shapiro’s speech for those who had found an alternate entrance into the room. The school staff at CSULA certainly understood there would likely be a problem, yet police presence on the campus remained thin. The situation could have escalated into a much bigger problem which begs the questions: 1. Why didn’t the school administration foresee the potential of an aggressive assault that could easily have escalated into something far more serious. 2. Were the perpetrators disciplined? 3. Has the University president made this an example of what must not happen again on this campus? These are questions that deserve answers not just for the sake of impacted students but for the public as well. A bigger problem is that there is a growing number schools that are experiencing similar problems on their campuses. Yale University is an example. Members of the Black Student Alliance physically surrounded a school administrator to verbally attack him for, of all things, standing up for free speech. The conversation was not a friendly one, and the dangerous, angry confrontation was caught on film. Instead of the students being reprimanded and disciplined, a group of largely Black students confronted President Peter Salovey at his home with a set of demands claiming they did not feel safe, that the University needed to address racism at Yale, and demanded the resignation of the administrator they had attacked claiming that the statements made by President Salovey lacked sensitivity to Black concerns. This type of bullying of teachers, professors, and school administrators by Black groups is not unusual, and the intimidating students often end up getting their way. To the universities credit, they reversed the decision and continued to fund the student group. The University of California system considered adopting a policy that encouraged students to report “derogatory language reflecting stereotypes or prejudices.” Imagine, that! An attempt was made at the University level to ignore and/or deny our Constitution and First Amendment Right to free speech. Fortunately, enough people found that outrageous and complained to the Administration, who then reversed their decision. A Penn State official ordered a group distributing pocket Constitutions to cease their efforts even though it was Constitution Day and they were in a campus designated “Safe Space”. Conservative students believe “Safe spaces” are a way for administrators to further isolate them from expressing their political views and/or messages. American Sniper was cancelled at the University of Michigan after Muslim and Middle Eastern students complained the movie made them feel “uncomfortable.” Only after YAF Chairman Grant Strobel appeared on Fox News to explain what happened did the University announce the film would be shown as previously planned. While these examples illustrate that political correctness has become a problem on our college campuses, it also indicates the administration on many campuses are willing to reconsider their poor decisions when confronted with facts and an opposing viewpoint. That makes it important for campus conservative groups to have a source that can guide them on the law and their rights. However, other Universities have not had the courage to confront student groups who have resorted to blatant blackmail to achieve their demands. Consider students at the University of Missouri who decided President Tim Wolfe was not doing enough to satisfy their definition of what the University should be doing to stop racism. With the help of members of the Missouri football players, most of whom are Black and with the blessing of their team’s coach, they joined activist groups demanding the resignation of the University president, claiming if their demands were not met, they would refuse to play in the upcoming important football game. The football players joined the protest after a Black graduate student, Jonathan Butler, began a hunger strike one week earlier. Butler said the strike would either end with Wolfe leaving his post or Butler dying. In their letter of demands, student government leaders pointed to University officials remaining silent in the aftermath of Ferguson and claimed that exacerbated tensions on campus. Butler, the student who went on the hunger strike, echoed that sentiment. Canceling the game would have cost the university in excess of $1 million. Wolfe met the demands of the students and resigned so that he would not be responsible for any harm to the University. There are some who have compared this to the danger of and reason why America adopted the policy of never negotiating with terrorists – once one capitulates to a terrorist, the demands never stop. Vox published an essay from a liberal professor who confessed that the zealotry of his own students frightened him. Salon published an article from a Black feminist film studies lecturer, describing her “disastrous” attempt to accommodate her students’ strangely aggressive emotional fragility. The one positive result of the students’ aggressiveness is that some academics on the left have finally awakened to the fact it was largely the liberal professors themselves who created the monster they are now currently experiencing. Many liberal professors have used the classroom to promote their liberal ideals which often are presented as White dominance and the suppression of Blacks. Did they expect that philosophy to help racial relations. It remains to be seen if professors will now dial back their classroom dialogues and instead promote positive concepts of respect for all people and thus begin to stress the proper way to facilitate positive changes. Certainly pitting one group against another and skewing the discussion to a specific liberal viewpoint is not the solution, as it has resulted in an unhealthy increase of racial tension on campuses. Thus, just when the nation elected a Black man and other Blacks were selected to the highest positions in our government, racism wormed its way back into our society. One could almost be persuaded to think it was deliberate. However, who would ever intentionally want and/or benefit from such an unhealthy scenario. The public is awakening to the unfortunate changes college professors have introduced to students which have largely produced student behavior that is unacceptable by historical standards as well as common sense. It has spilled out into the general public and provided an increase in racism within the general public as well. The question now seems to be how does one put the genie back into the bottle? Our schools have nurtured and condoned “progressive” thinking for decades, and intentionally or not, it created increased tension between Blacks and White students. It has now reached a critical point that must be seriously addressed. Possibly before we see improvement, we must analyze the genesis of the problem. We must also discuss the best way to initiate fair, equitable, and positive changes in our University system that provide some basic, common sense recommendations for administrators and professors. Our follow-up article will deal with some facts that will explore and might explain in part the reasons for changes we see in our schools and suggest recommendations as to how to create a more objective, balanced classroom and campus environment for all students. This is essential because college students are our future. What they are taught and learn today will be the direction of America tomorrow. This is one area we all must examine and get right for the sake of our children’s and grandchildren’s future.